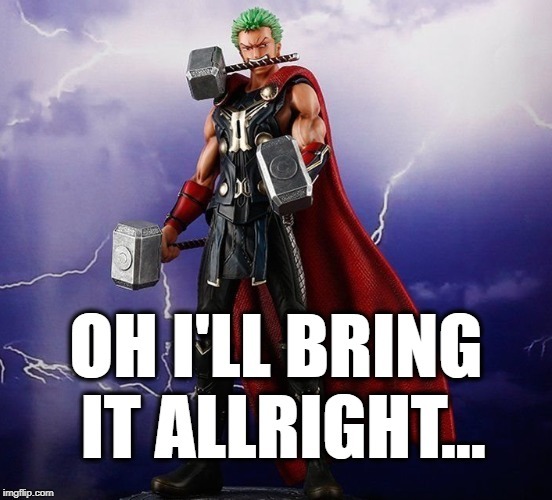 Chapter 808: If You’ve Got What It Takes, Bring It On! He made sure to memorize the faces of all of the heavenly marquises who looked excited, and then took a moment to glare angrily at Zhao Xionglin. Considering how vile Zhao Xionglin was, he immediately decided that from now on, he would make him kowtow every time he saw him! However, now was not the time to be overly worried about Zhao Xionglin. Up in the sky, the clouds had vanished, to be replaced by countless lightning bolts! They looked like tens upon tens of thousands of angry serpents, filling the sky with deafening thunder. The sky now looked like a sea of lightning, covering Arch-Emperor City in a fashion that attracted the attention of everyone in the city. The city was instantly gripped by a huge uproar. The eyes of all necromancers began to burn with passion and excitement as they looked up at the forming soul flame tribulation. The uproar created something like a sound wave that filled the entire city. And soon, word also began to spread to the rest of the Wildlands, leading to similar scenes elsewhere. When Sun Yifan and Sima Tao heard about it, they both rushed outside and headed toward the nearest teleportation portals. They were actually more excited than anyone else. Throughout the Wildlands, all of the celestial necromancers were rushing crazily toward teleportation portals to go to Arch-Emperor City. It was almost as if some great pilgrimage were beginning. Being able to personally witness Earthly Soul Flame Tribulation would be of great benefit to them! As the Wildlands was being shaken, a serious look overtook Bai Xiaochun’s face. Although he had been aware that conjuring eighteen-colored flame would provoke lightning tribulation, he hadn’t ever guessed… that it would be so monumentally shocking. “If I really fail at this tribulation… then I’m finished for sure!” That thought instantly caused his heart to tremble with anxiety. As for everyone else in the hall who had just witnessed the spectacular turn of events, they had now reverted from a state of despair to a state of hope. He was confident, the reason being, not himself, but… the fact that he was in Heavenmaster Hall! The heavenly tribulation provoked by eighteen-colored flame was the type that could shake heaven and earth. A few rare celestial necromancers like the Miao Clan patriarch would have ancestral legacies that they could use to deal with such tribulation. But most other celestial necromancers would attempt to conjure their first eighteen-colored flame in a secluded meditation facility, with spell formations and trusted associates nearby to help them stay safe. To a necromancer who planned to conjure eighteen-colored flame, it would be an easy matter to get trusted people to help. After all, many powerful experts would be willing to do so as a way to build up good will. From the time the Arch-Emperor Dynasty had moved locations, down to the modern day, none of the various necromancers who had reached the earthly rank had faced tribulation in the way that Bai Xiaochun was doing! He was actually using Heavenmaster Hall as his primary defense! Even as he looked up at the sea of lightning which filled the sky above Arch-Emperor City, it began to pulse, and then slowly shrink. As it shrank, the snake-like bolts of lightning formed together, gradually creating one enormous lightning bolt as thick as a bucket! Then, that lightning bolt descended toward Heavenmaster Hall! This… was the true Earthly Soul Flame Tribulation! The massive lightning bolt thrummed with shocking power, and when it slammed into Heavenmaster Hall, the entire thing trembled, and then glowed with a spectacular, multi-colored light. That light was a powerful defensive mechanism which fought back against the heavenly lightning! Heavenmaster Hall wasn’t damaged at all, and as for the heavenly lightning, it transformed into countless silver sparks, every single one of which faded away. Bai Xiaochun blinked a few times and then looked over at the Grand Heavenmaster, who sat on his throne with a slight smile on his face. All of the surrounding heavenly marquises had looks of blank shock on their faces, especially Zhao Xionglin, who looked as pale as a sheet…. All of them were cursing, but only in their heads; none of them dared to say a single word. “Morons!” Chen Haosong murmured to himself. It didn’t take much thinking to realize the reality of the situation. The Grand Heavenmaster would obviously be delighted to have another earthly necromancer in the Wildlands, and would naturally support that person. And such support would be of monumental importance in a moment of crisis like this! Bai Xiaochun also understood that, and was deeply moved. Turning to the Grand Heavenmaster, he clasped hands and bowed. By now, the pride and joy he had felt earlier were gone. The things which had occurred with Bai Hao had caused him to grow up a bit. He also knew that he was now very important to the Grand Heavenmaster! However, just when everyone assumed that the heavenly tribulation was over, the lightning up above seethed and began to grow more intense. Then it shrank down again, so much so that, instead of covering all of Arch-Emperor City, it only covered the imperial palace. Everyone’s breath stuck in their chest. It was already obvious that the newly forming lightning bolt would vastly surpass the original one. Intense rumbling sounds could be heard as countless lightning bolts merged together into something like a ball! As the ball of lightning formed, and the various bolts merged together… they turned black! A power similar to the early Deva Realm began to weigh down from the black heavenly lightning, growing stronger and stronger until it was equivalent to the great circle! Everyone in Arch-Emperor City who could see it gasped in shock. Bai Xiaochun was stunned, but didn’t worry about it too much. With Heavenmaster Hall to protect him, he assumed he would be fine. Of course, he didn’t drop his guard, and in fact, rotated his cultivation base madly as the lightning bolt began to fall. As the black lightning approached, the light surrounding Heavenmaster Hall didn’t just act as a shield. It actually exploded out to attack the incoming heavenly lightning. When the two met, a deafening explosion filled all of Arch-Emperor City! Heavenmaster Hall’s shield twisted and distorted, and was even shoved downward significantly. However, the heavenly lightning clearly suffered a massive backlash, and soon shattered into countless sparks of electricity that showered down onto the imperial palace….